I’ve been delaying this post for almost 2 months and although the timing might not be the best, I feel like I have an obligation to share on the blog my tips for one of my favorite places in BC, the breathtaking Tofino . My first time visiting there was in March 2013 and even with the cold/rainy weather I fell in love with the place! Going back in the Summer had been on my bucket list ever since , so you can only imagine how thrilled I got when we decided, out of the blue, to take a few days off in July to enjoy this little paradise. 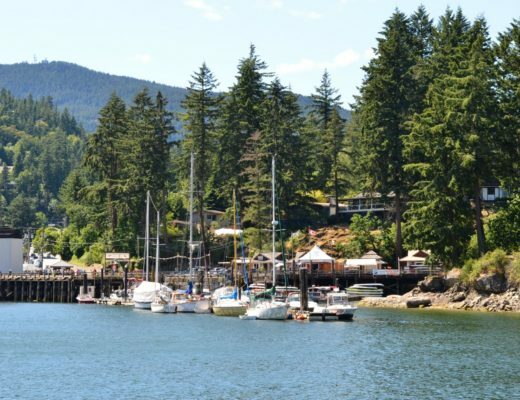 The city is located on the west side of Vancouver Island, at the tip of the Pacific Rim National Park. The trip can be a bit long, but in my opinion getting there is part of the fun! It starts with a 1:40hr ferry ride from Vancouver to Nanaimo followed by a 3 hours-drive to get to the other shore. The route is so scenic that you hardly feel time passing as you drive through a forest of Ancient Trees (Cathedral Grove), alongside lakes and mountains. When planning your itinerary, allow some time for stops along the way and remember that reserving the ferry is highly recommended. 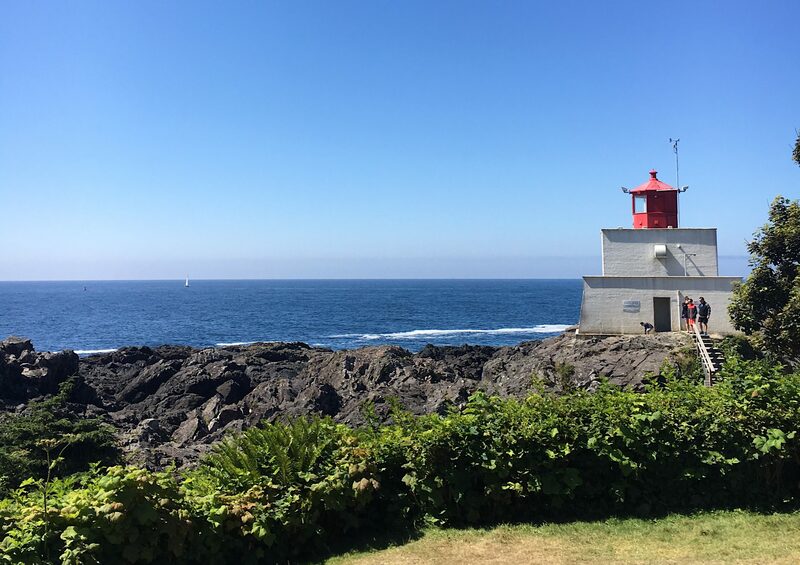 Make sure to check out Ucluelet as well, Tofino’s neighbor city! Explore the beaches: I mean all of them, seriously! Every beach has something special. 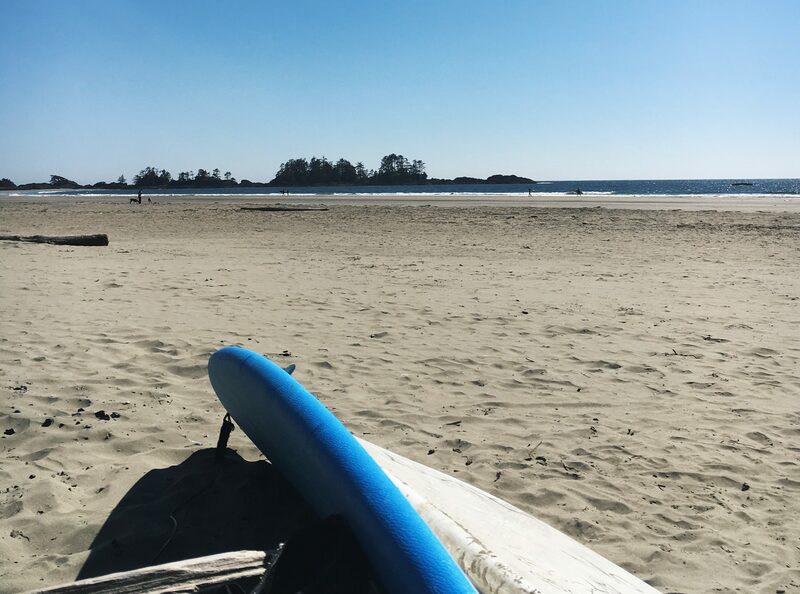 I’m an ocean lover so I can spend hours just walking by it, but Tofino has such an extensive shore that you can also ride bikes, plays sports or just sit and relax to watch the waves and light a bonfire at sunset. Chesterman Beach is my all time favorite in case you are wondering. Boat tours: there are other fun and warmer/dryer options to enjoy the water such as kayaking, fishing or whale watching. I heard this last one is an amazing experience! 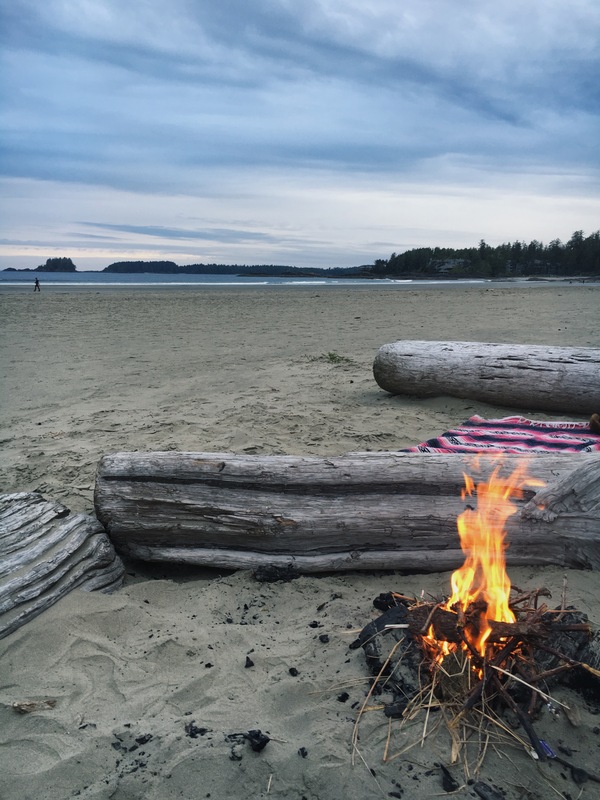 Sunset & bonfire, a Tofino must do! Hiking: there are so many trails within Pacific Rim that I recommend stopping at Tourism Tofino for more details. I’m particularly a beach-bum, so we explored mostly short hikes along the shore such as Sunset Point at Cox Bay and the Tonquin Beach Trail. Explore downtown Tofino: Believe it or not, Tofino is not only about nature. The little city center is so charming , the perfect spot for a stroll after the beach, to grab some food and check out local shops. Storm Watching: So this is actually a thing in Tofino and it’s awesome! You can enjoy the wilderness of the winter months wrapped around a blanked by the fire, or get your waterproof gear on and go enjoy mother nature. I find it such a romantic getaway! Wolf in the Fog: Famous for the best sea food and locally sourced ingredients. Sobo: Short for sophisticated bohemian, I can’t find a better description for this award-winning restaurant. Shelter: The menu is pretty diverse so everyone leaves happy. 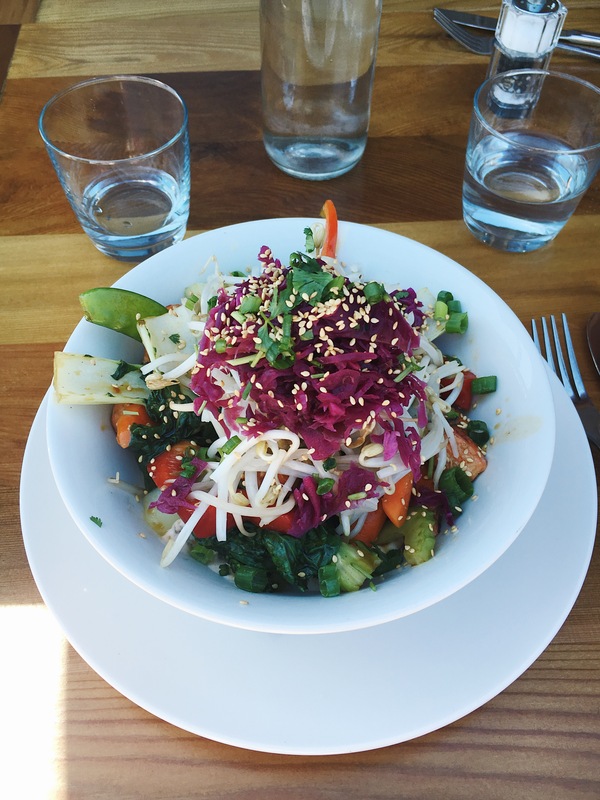 I had the best pre-surfing meal there, a delish veggie bowl! Big Daddy’s Fish Fry : The good old fish and chips or anything else you can imagine deep fried! Tofino Brewery Co. : local brewery with tasty beers and hip atmosphere, definitely a must go! Tofino Brewery – Try some and take a few bottles home! There are lots of options for accommodation from beachfront lodges to hidden rental houses, cute little hotels and campsites. Even with such diversity, the city can get pretty booked during high season making it a a bit hard to plan a last minute trip to Tofino, so planning ahead is the key. I’ve stayed at an amazing beach front suite in Pacific Sands Resort and at the cutest loft in Cobble Wood Guesthouse & Bird Sanctuary House & Suites. I highly recommend both, but if you have a chance to stay in front of the beach you won’t regret it! Other nice lodges are Long Beach Lodge Resort , Crystal Cove Beach Resort & Middle Beach Lodge. Entrance of our loft at Coblewood, we had a little patio with the prettiest garden! I was a bit naive when I packed for my last trip and had to wear the same leggings+ sweatshirt combo every night for 4 days ( lousy fashion blogger!) Even in July it can get pretty chilly when it’s not sunny and in the evenings a bonfire will not be enough to keep you warm. Summer in Tofino tends to be pretty sunny and dry , but we are in BC and rain is always expected! Regardless of the season I recommend packing a rain jacket (light or heavy depending on the month), cozy sweater/sweatshirts, waterproof shoes (did I mention the water is cold?) and some essential accessories such as backpack, hat/toque, water bottle and a beach blanket . 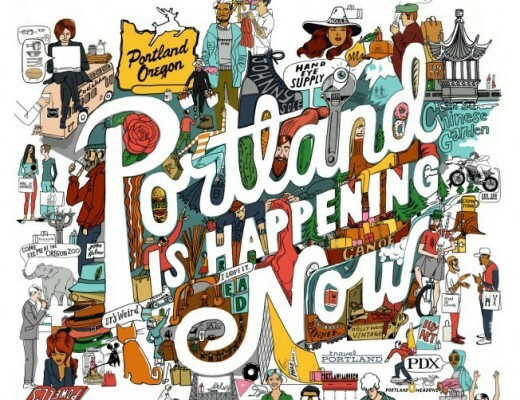 Also, don’t forget to check out our Travel Guides page for more tips!